Tailor-made classified ads theme to monetize ads. 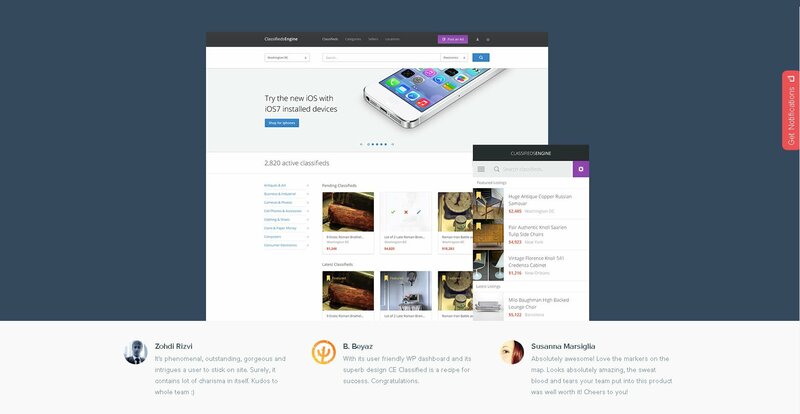 ClassifiedEngine is a modern designed classified ads theme which is tailor-made to monetize user submitted listings. 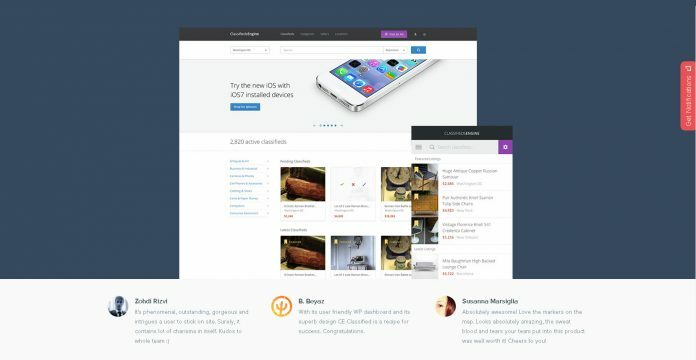 ClassifiedEngine comes with simple user experience and powerful built-in design tools. A classified / listing website demands more functionality than that of a static business website. Managing ad listings, payment, user management and front-end submissions are some important functions that are essential for a classified ads website. Fortunately, ClassifedEngine covers all the functionality needed built right into the theme. Design wise, its modern, clean and responsive based on Bootstrap. Although a separate mobile theme is available for a better mobile user experience. There are also different extensions plugins available to extend the functionality of ClassifiedEngine theme.